No one wants to shell out some hard-earned business cash to replace a piece of office equipment. That's why it's worth your while to make sure you're getting the most life out of your printers, copiers, fax machines, and scanners. Knowing a little bit about how your machines work will help you keep them in good shape throughout their life cycle and extend the life of your devices. There are a few steps you can take to make sure you'll get the most life out of your printer or copier. Buy high-quality cartridges: It's tempting to save some money and buy cheaper ink, especially since ink can be so expensive. But cheap ink won't just give you lower-quality print results; it can also cause some severe long-term damage to your machine. Make sure you're buying ink that's certified by the Standard Test Methods Committee. This certification tells you that you're buying a quality product that has less than 1% defect rate. Maintain your machine: Yes, regular maintenance can be a pain, especially when you have much more on your plate to deal with. But if you're not maintaining your printer, you could run into many issues. Regular upkeep will ensure you get the most life out of your machine and that you won't end up with a broken down printer the minute you need to make copies for an upcoming meeting. Get small errors fixed right away: How many times have you heard someone try to play off an error with your machine: "Oh, it just does that. You have to kind of jiggle the tray…" etc., etc. 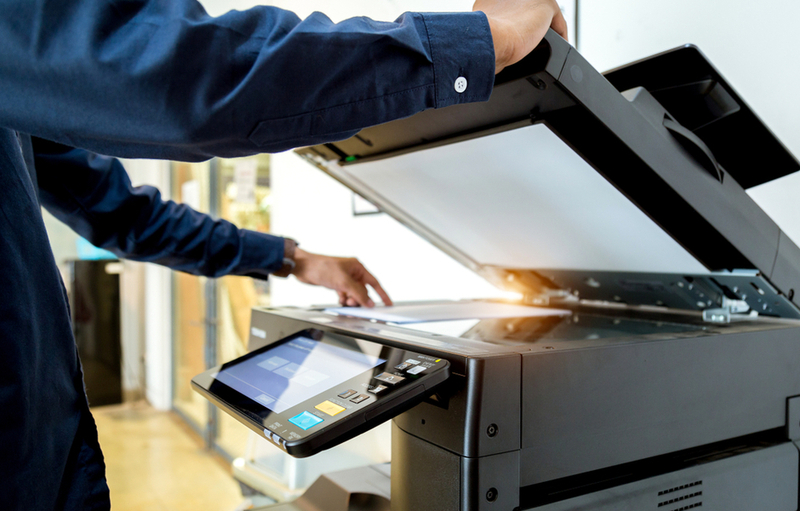 Don't excuse your printer's bad behavior—it's probably a sign that something is failing or about to fail, and if you run your device long enough without necessary repairs, it could go caput. If it's time for a new multifunction printer, contact us to find the right one for your company. The use of printers in the typical office is necessary to day-to-day business. Having at least one printer that is a multifunction printer is a far more convenient and cost-saving way to provide printing to employees. By now you probably know that multifunction printers are an indispensable device for any business. Since MFPs consolidate the need for multiple devices, they are particularly critical for small-to-medium businesses with limited space and budgets. There are a lot of variables involved when it comes to buying a multifunction printer. Of course, the cost is a big factor, but there are many other concerns to keep in mind when you are investing in print equipment.